Have you ever noticed how people often see fighting skills as the sole benefit of self-defence training? Obviously, knowing how to protect yourself is a big thing. It's like car insurance, you don't want to use it but it's good to have it. Just in case. 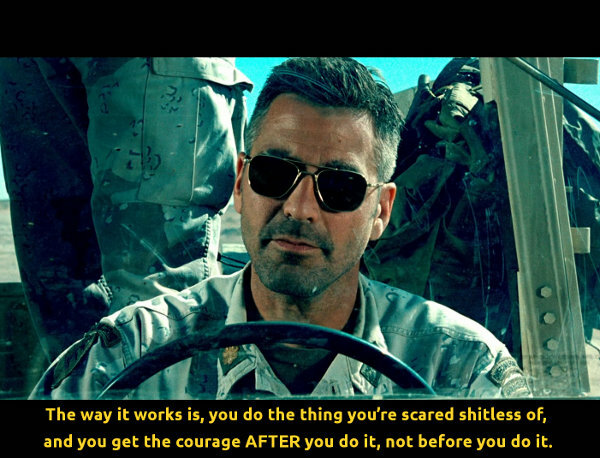 And it can make a clear difference. Self-defence is also about prevention, learning how to set boundaries, assert yourself and safely de-escalate situations. The system I teach, Urban Krav Maga, has been designed to work regardless of age, gender, athletic attributes or body type. It's based on quick reactions and swift movements. Techniques are built upon the body's natural instincts and are easy to assimilate. Simple yet functional. This being said, technical development should always be supported by a suitable conditioning programme. My objective is also to help you get stronger, faster, tougher. No military training though; just smart training! High Intensity Interval Training protocols like the one I use, are known to kick metabolic rate into hyper-drive for hours after the session is finished, so you will enjoy an incredible boost of energy and burn a huge amount of calories. Between the drills themselves, the punching, the kicking and the conditioning, you are guaranteed one hell of a workout. We all live fast pace hectic urban lives that come with their share of stress and we regularly need to let off steam. Pounding a kicking shield and getting into a friendly brawl on the ground will undoubtedly extract any stress out of your body and mind. In the grand scheme of things, however, the main benefit you'll get from the class is self-confidence. You'll realise you're stronger than you think. You'll realise that, with a bit of training, you can efficiently defend yourself and take a guy down. One of my students told me she felt a sense "freedom" knowing she could properly respond to physical aggression. As a result of the training and your getting familiar with adrenaline and physical action, you'll be calmer in the face of adversity. You'll feel more comfortable and confident dealing with aggressive behaviour and the way you interact with other people will change positively. 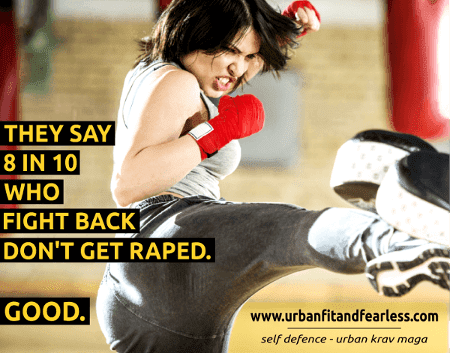 Urban Fit & Fearless helps empowering women through self defence training. Here is why women are safer when they learn self defence? Try it for yourself. Classes are beginner friendly and typically 50% female!